Calling All CCWA Members and Volunteers! The 2003 Codorus Cleanup begins June 6 and ends June 15. This year's all volunteer cleanup efforts will concentrate on the three mile reach of the Codorus, from Grantly Road in York City upstream to approximately Indian Rock Dam. Cleanup efforts will concentrate on stream banks and shorelines, most of this reach is not wadeable. We'll be out there rain or shine, from 8:00 AM to 5:00 PM, daily. Volunteers are specifically needed on the two weekends of June 7-8 and 14-15. The Codorus Cleanup Operations Center will be located at Bantz Park, off Richland Ave. There will be sign-in/out, change areas, sanitary facilities, refreshments, parking, etc. Every volunteer will be asked to sign a liability waiver and briefed on cleanup operations, health and safety. Dress appropriately for the weather (i.e., hot/cold). Long sleeved shirt and pants and steel tipped/shank high-top work boots recommended. Risk of contact with poison ivy high. Following a successful cleanup, we will celebrate our efforts on June 21 with the CodorusFest, an environmental education and music festival in downtown York. Sponsors opportunities and vendor space available. Share this with your family, friends, co-workers, and anyone who wants to help make a difference. If you cannot, please consider making a donation. Pickup trucks and heavy equipment needed. For more information, contact Michael Helfrich at (717) 848-1900 or visit www.codoruscreek.com. 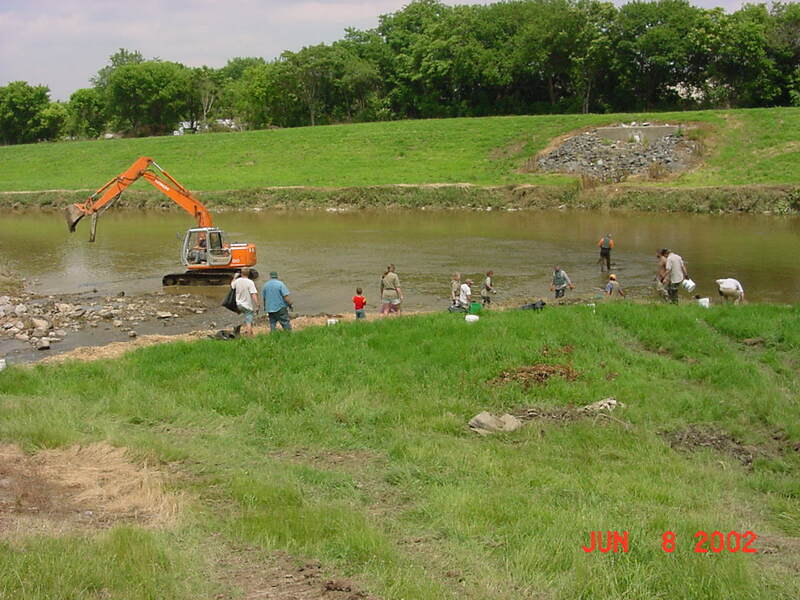 The 2003 Codorus Cleanup is a watershed partnership between the Codorus Creek Improvement Partnership (CCIP), Codorus Creek Watershed Association (CCWA), and Watershed Alliance of York (WAY). Please come join our cleanup efforts and celebration!